The more you say it, the weirder it gets. 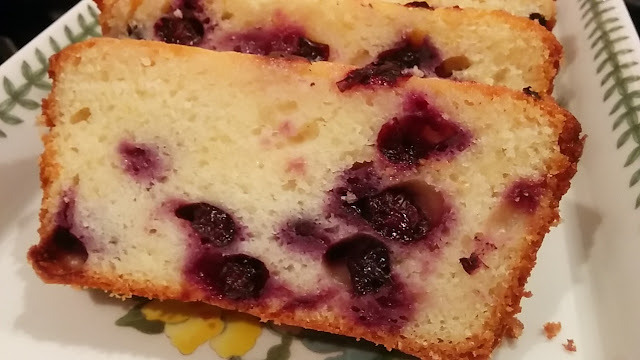 That's why this is called Blueberry Lemon Bread instead of "loaf". This is a delicious and super easy bread to make. Adapted by a Taste of Home recipe, linked here. 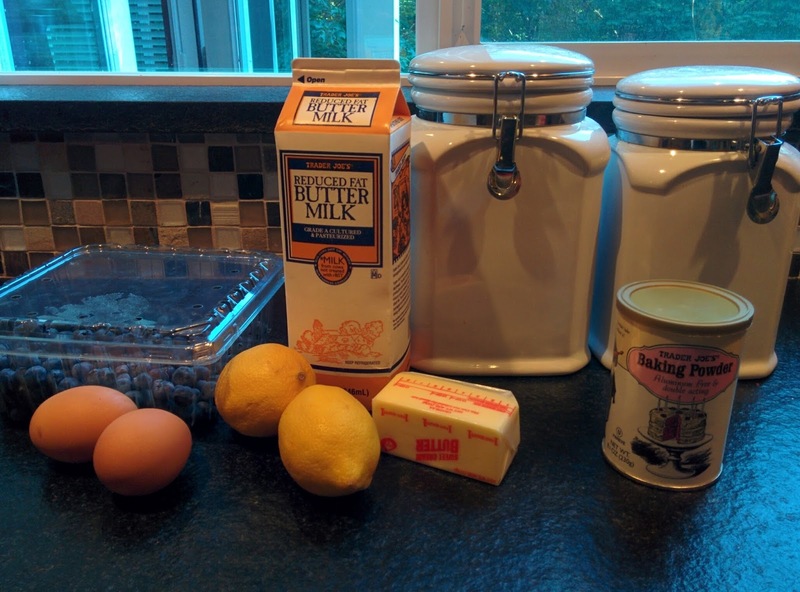 In a large bowl, beat the butter, sugar, lemon juice, lemon peel and eggs. Combine the flour, baking powder and salt; stir into egg mixture alternately with milk, beating well after each addition. Fold in the blueberries. 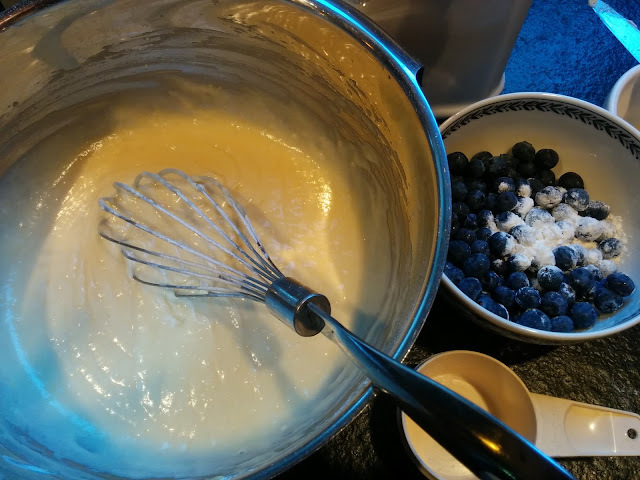 I used an additional tablespoon of flour to dust the blueberries before mixing them in. In theory, this should help them disperse throughout the bread and not sink to the bottom. Transfer to a greased 8-in. x 4-in. loaf pan. Bake at 350° for about 55 minutes or until a toothpick inserted near the center comes out clean. Cool for 10 minutes before removing from pan to a wire rack. Combine glaze ingredients; drizzle over warm bread. Cool completely. Editor's Note: If using frozen blueberries, use without thawing to avoid discoloring the batter. 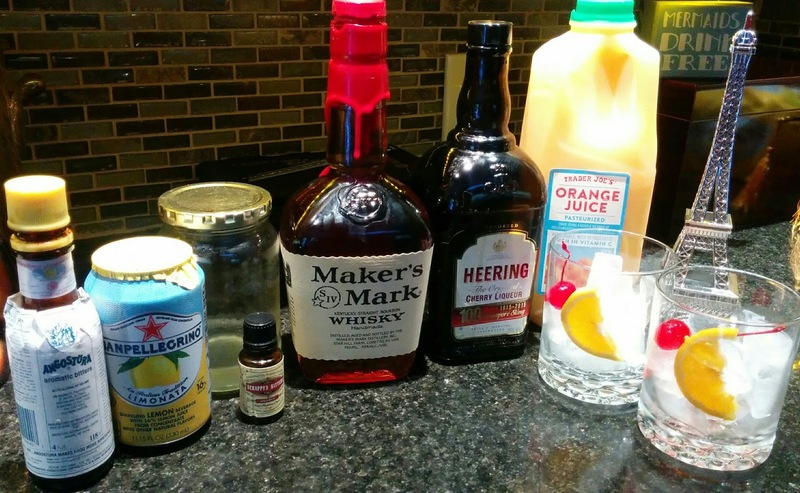 Some people think that regular Old Fashion cocktails are "too boozy". Here's a nice version that will appeal to many, including me. Perfect for a summer evening. Tastes like pure sunshine, even in the rain. One little note, you do need to buy a special liqueur with the Peter Herring Cherry liqueur, but if you like cherries at all, then I would recommend you have this in your cabinet. Might taste a bit like cough syrup on it's own, but it's darn good in your drinks! Peter Herring is a 100 year brand very well known for this cherry stuff, imported from the Denmark. I also use Lemon Pellegrino, which can be hard to find, but all lemon lime soda works, we've even used diet 7Up successfully. 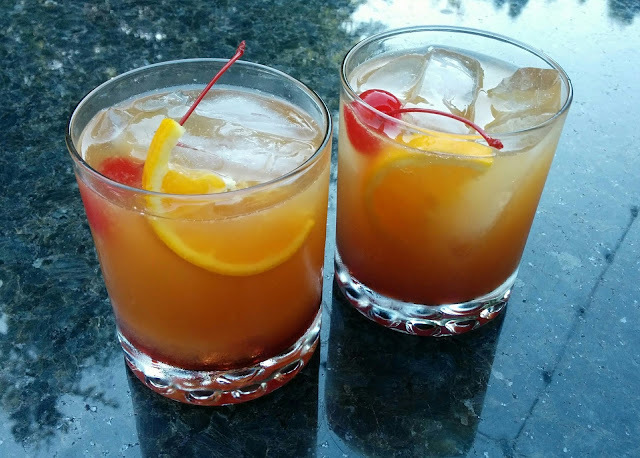 Fill two glasses with ice, orange slice and cherry. In an ice filled cocktail shaker, mix everything except the soda, shake to mix, pour over ice. Top with lemon pellegrino or other lemon soda. 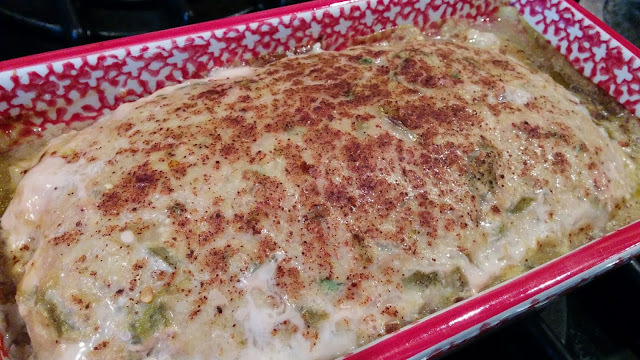 Something about green chilies make me very happy, and green enchilada sauce is one of my favorite canned items. I like to buy the lean ground turkey at Costco in the 4 pack. It's much leaner (7% fat) than what I can usually find in the grocery store at 20% fat. Usually I make turkey patties and barbecue them, or make Turkey Keema Curry. But I'd been thinking of a meatloaf... so here's my plan. However... This is ugly food. 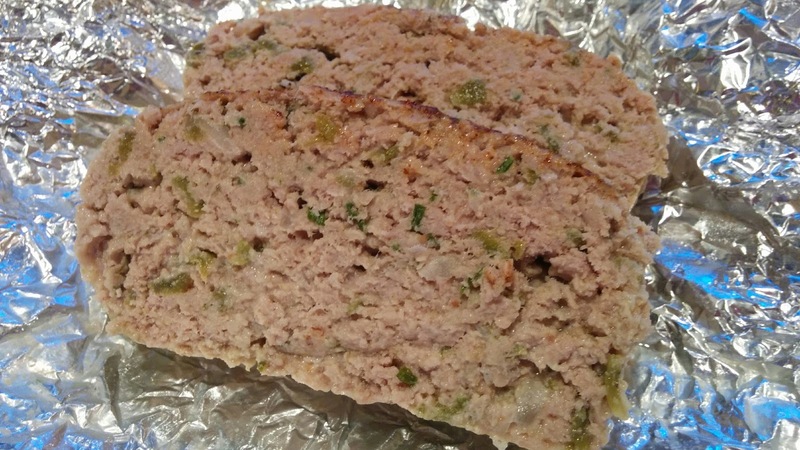 Below is a picture of it the day after, after firming up in the the fridge. It won't win any beauty contests, but it made a terrific lunch. Here it is at dinner time. I may have gasped out loud when reviewing the pictures to add to my blog. UGLY! One note, it might make a firmer meatloaf if you used half turkey and half pork, or beef. 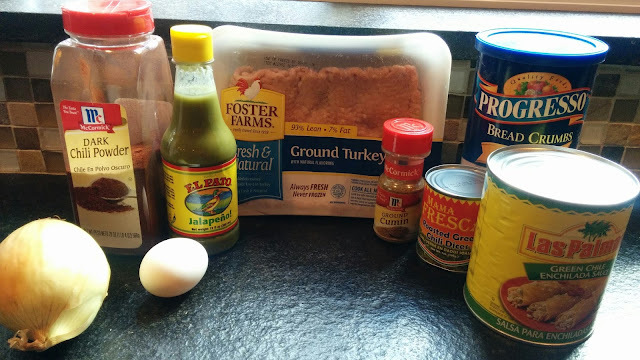 But this recipe is easy for using up the full package of turkey in the 20oz packs from Costco. 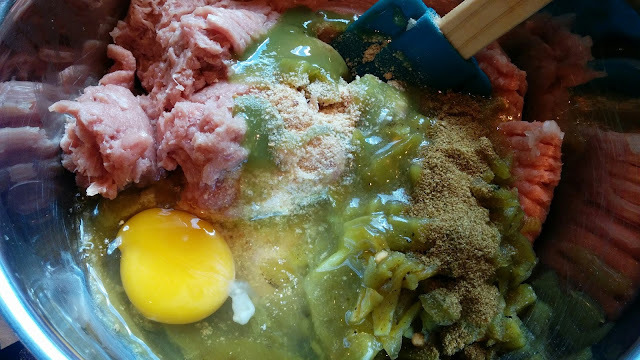 1/2 cup green enchilada sauce, divided into 2 1/4 cup portions. Combine all ingredients together (except half the enchilada sauce for the top) and mix well. Shape into a loaf pan and pat down firmly. 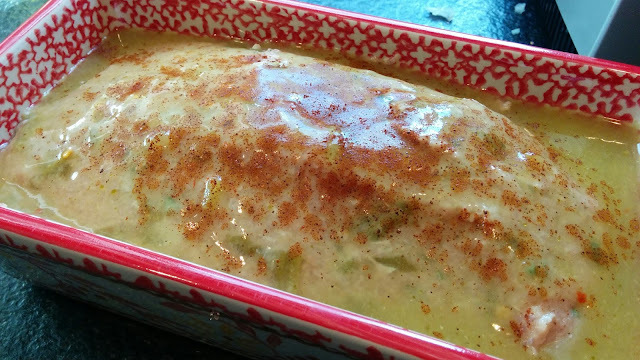 Add the extra 1/4 cup enchilada sauce and sprinkle with a little chili powder, if desired. Bake for about 1 hour until cooked through. I got mine up to about 165-170 internal temperature using an instant thermometer. That's the easiest way to see if something is cooked through. I know I lost some of you immediately with the title. 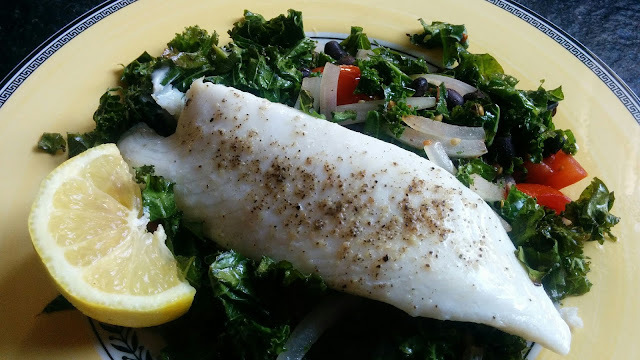 Some people seem to have an unnatural dislike of both tilapia and kale. So, I guess they're not reading anymore, so let's not worry about them, okay? 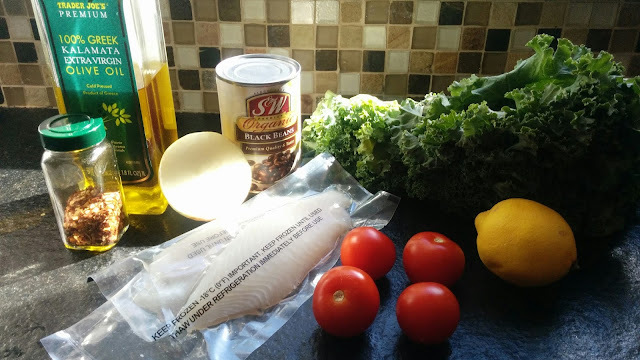 I thawed the fish a couple of days ago, but I've been too wiped out to cook. To sum it all up, two nights ago, I suggested scrambled eggs instead of really making something. My hubby acted like that was a grand idea, hence the reason I love that guy! The next night, ditto.... both of us exhausted. He suggests we go have "happy hour" for dinner. So, yep, of course that happened and we happily had street tacos, nachos and beer. Ahem, today I planned ahead and thought through this. What did I have already on hand? Because you know... I was eating nachos, tacos and beer last night, I needed something that was good, and good for you. 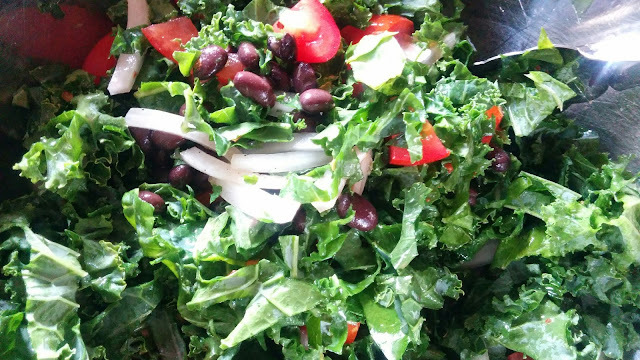 Cut up the onion, the tomatoes and the kale. I did the onions quite thin, as I knew I was only going to cook them for a short time. Kale? 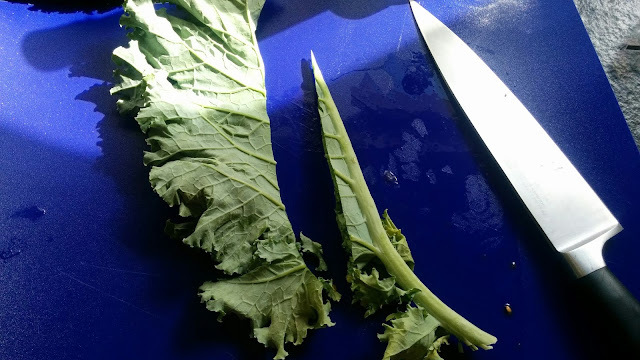 I use a big knife and cut the ribs out, then I chop, chop, chop them into small pieces. Add to a big bowl. Add the beans, chili pepper flakes, the lemon zest and the olive oil. 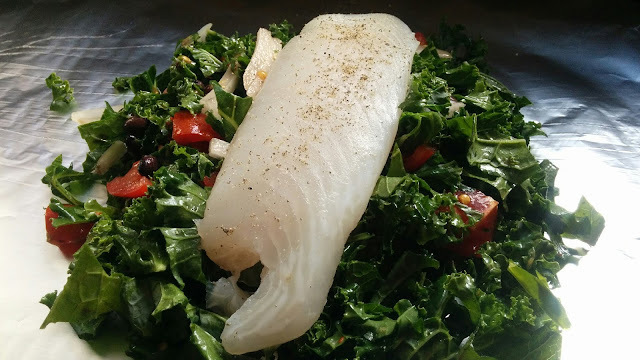 NOTE- don't add the lemon juice until serving as it sometimes makes the kale a yucky color. Toss to coat. Add a little salt and pepper, toss again. It's totally OK to taste it now and make sure it tastes good. 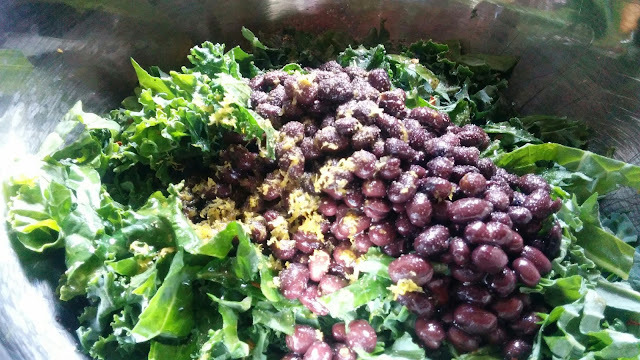 Put two large pieces of foil on the counter (about 18 inches long) and add a big pile of the "salad" kale mixture. Top with a fillet of fish... ummm... the tilapia (not the MacDonalds sandwichs- hehehe). Salt and pepper the top of the fish. Fold up the edges, making a little flat envelope, like the one pictured below. 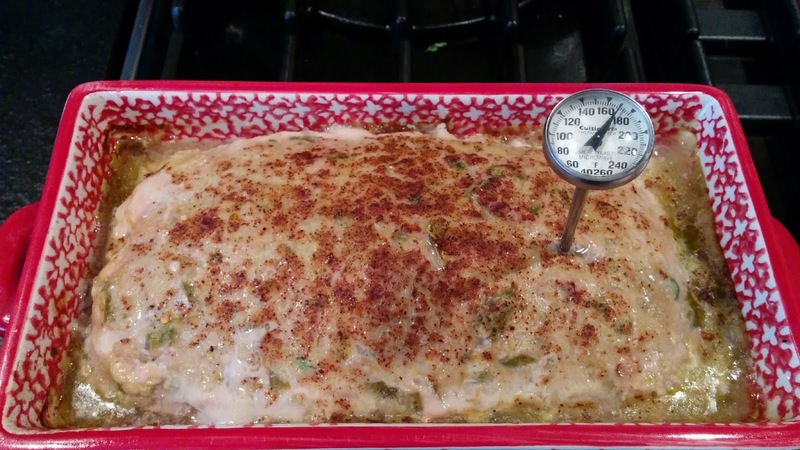 Put on a baking sheet and bake for 15 minutes in a 375 degree oven. Serve at once, but be careful opening the foil it will be very, very steamy. Serve with a big wedge of lemon. I liked the recipe the second I saw this in the edition of Food & Wine June 2016, I wanted to make it. But sadly, I did not follow all the instructions. Either that, or I did not give good direction to the Hubster when he went out to grill. Can you repeat "al dente" after me? YES... do not, do NOT overcook the squash. You don't want a squishy texture, you want barely cooked with the yumminess of blue cheese and the crunch of pecans. 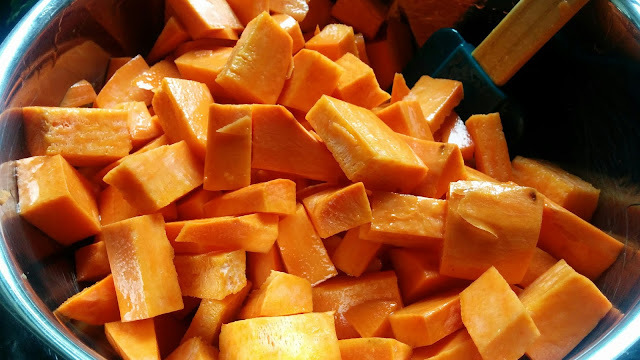 I love this dish and I will make it again, but we will be super vigilant to ensure the squash is undercooked. Or, you can follow the directions from Food & WIne below and remove the part most likely to get squishy. Preheat the oven to 375°. On a rimmed baking sheet, toss the pecans with the butter and 1/2 teaspoon of salt and roast until fragrant and browned, about 10 minutes. Let cool completely, then coarsely chop. 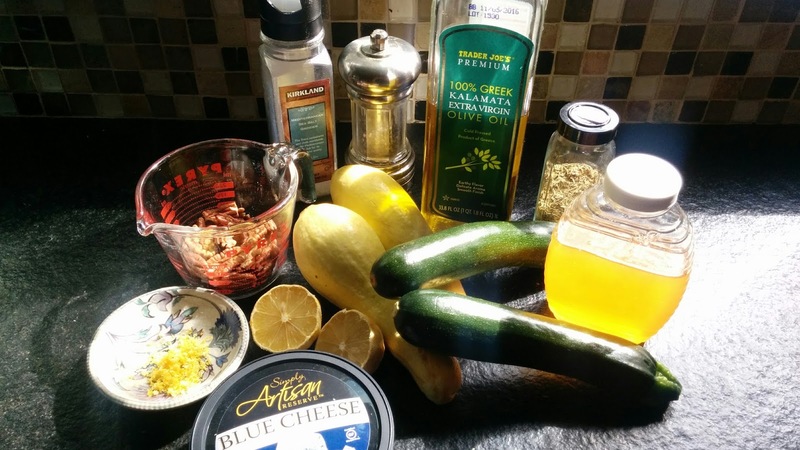 Quarter the zucchini and summer squash lengthwise and cut off the soft, seedy centers. In a large bowl, toss all of the squash with 2 tablespoons of the olive oil and season with salt and pepper. Light a grill. Grill all of the squash over moderately high heat, turning once, until lightly charred and tender, about 10 minutes. Cut the zucchini and summer squash into 2-inch lengths; transfer to a large bowl. In a small bowl, whisk the lemon zest and juice with the honey, thyme and the remaining 2 tablespoons of olive oil; season with salt and pepper. 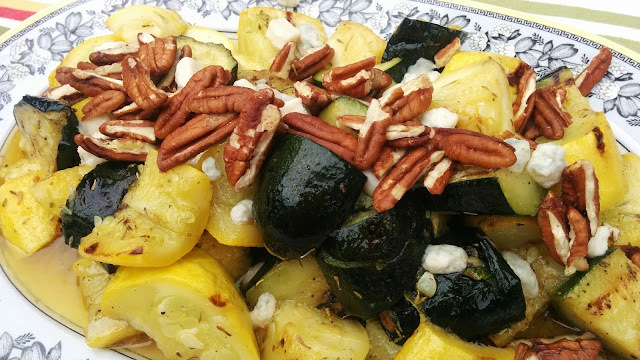 Add the lemon vinaigrette to the grilled squash and toss. Transfer to a serving bowl and top with the crumbled blue cheese and toasted pecans. 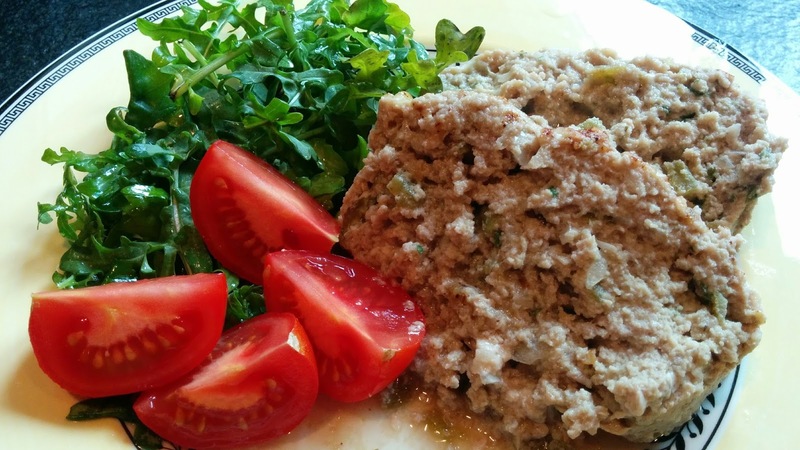 Serve with grilled bread, or serve as a side dish/salad. I had this salad at a friend's house recently and I was instantly in love with it! 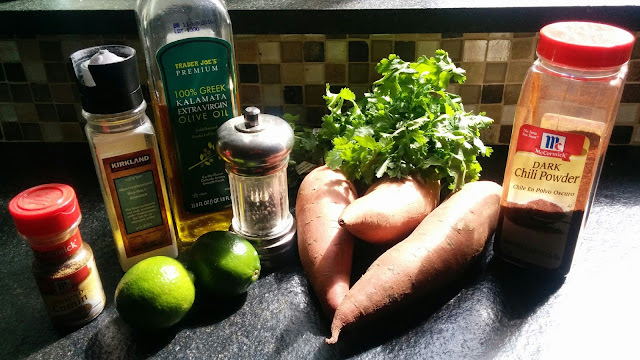 She used yams and sweet potatoes for a nice yellow and orange look, but I had a hard time locating yams at my grocery store, so I improvised. 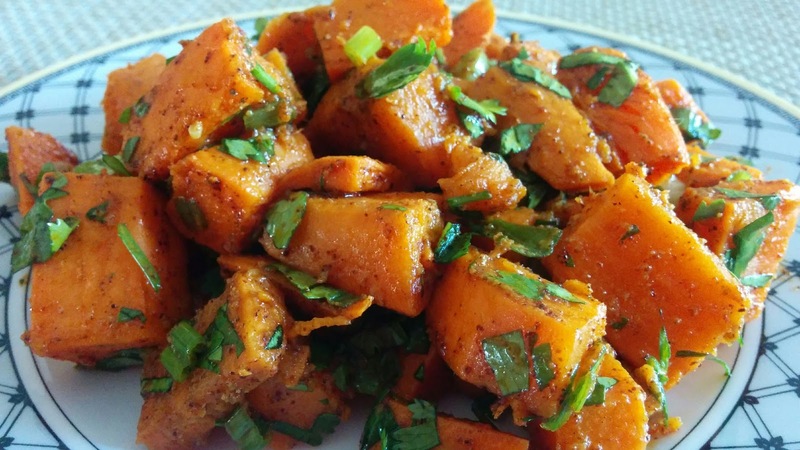 This has the sweetness of the potatoes, tang from the lime, spice from the chili powder and cumin. Add the flavor of cilantro and a drizzle of olive oil. 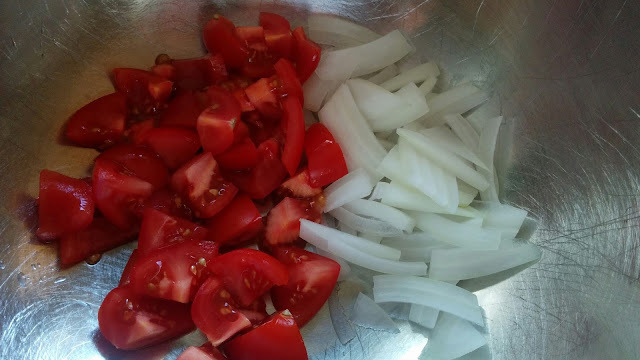 I can also see so many other variations like diced jalapenos, red onion, green onions, heck throw in some quinoa and serve it over some greens for a very healthy dinner or lunch. Peel sweet potatoes, cut into cubes, toss with 2-3 tbsp of olive oil, salt, cumin and chili powder and spread out on a large baking pan. 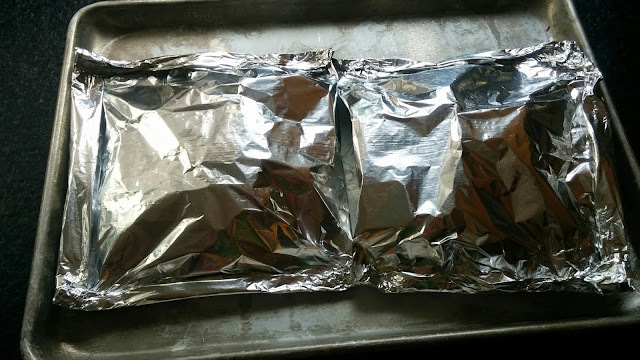 Roast for 17-20 minutes, until tender, but not too soft. Toss with lime juice and let cool. Add chopped cilantro and stir to combine. 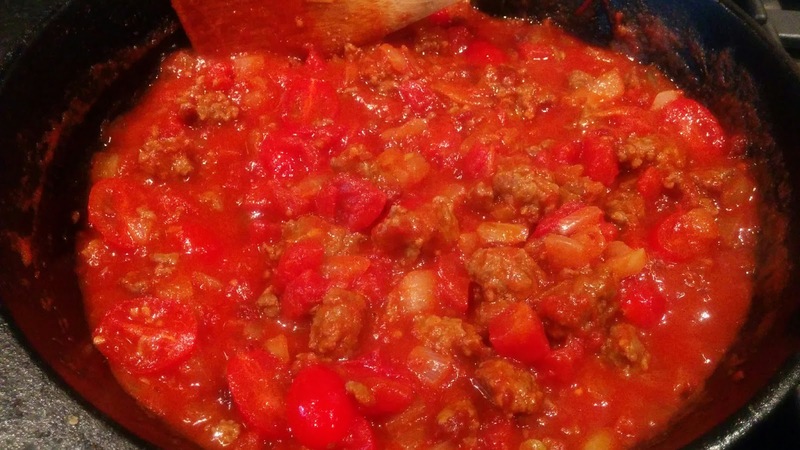 Taste to adjust seasonings, as you may decide you want a bit more chili powder and cumin. Some days you just wake up spicy! Slept in late, enjoying the middle day of a three day weekend. 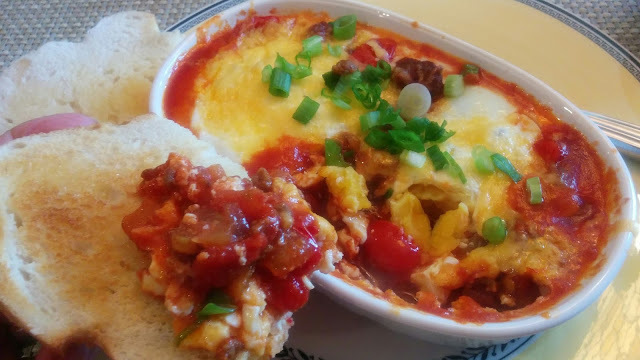 I loved these Italian Caprese Baked Eggs, but I wanted something spicier, plus I had a lb of chorizo sitting in the fridge. So this dish happened. There are many ways that you could change this up, so have some fun and create something delicious! As they sit and cool, those eggs continue to cook. Take them out when the white is still a bit giggly. 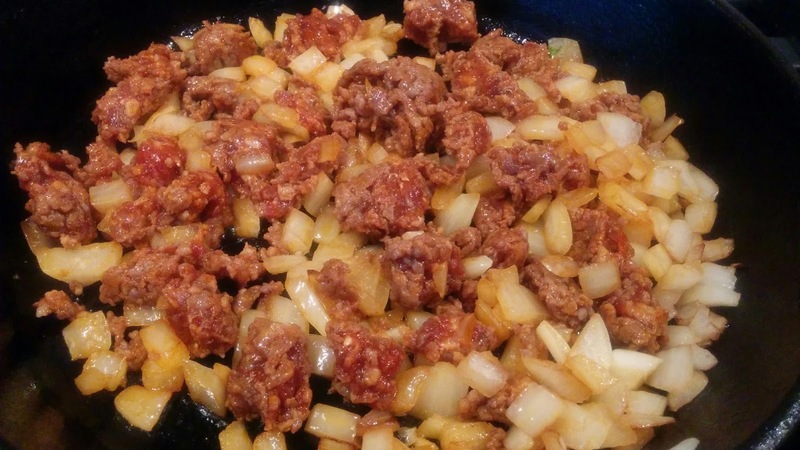 Cut up the onion and fry up with the chorizo until the onion is soft and the meat is cooked through. 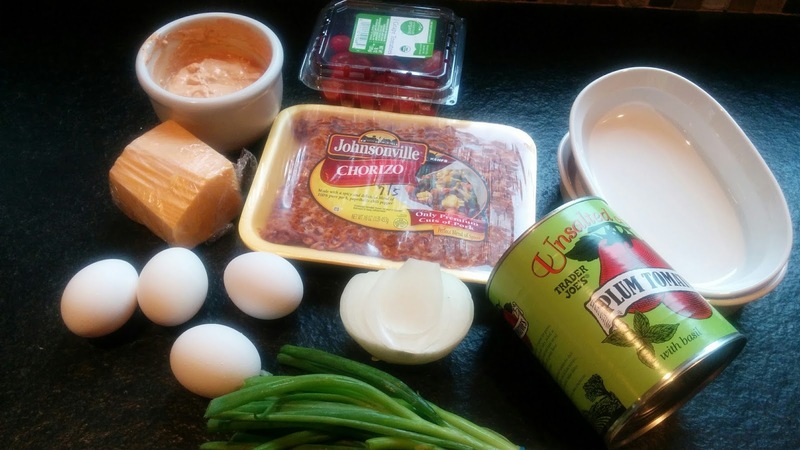 If you have a lot if fat in your chorizo, it would be best to drain it now. My chorizo was not too much, so that was great. Here's the meat and onions. 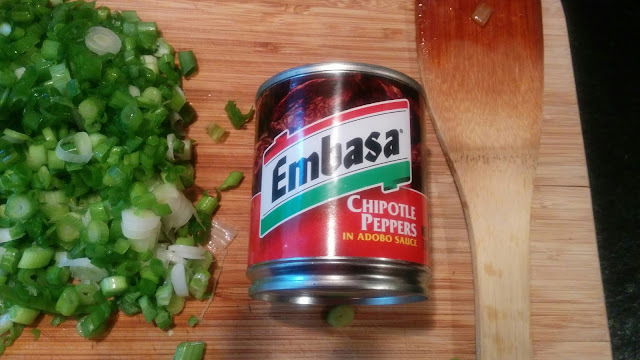 I added one chipotle pepper in adobo sauce. The pepper is very easy to mince up very small. Pick a small one as they can be spicy. Or, you can omit this pepper altogether. Add the tomatoes and tomato puree. Cook for 4-5 minutes until the cherry tomatoes start to soften. Add salt and pepper to taste. 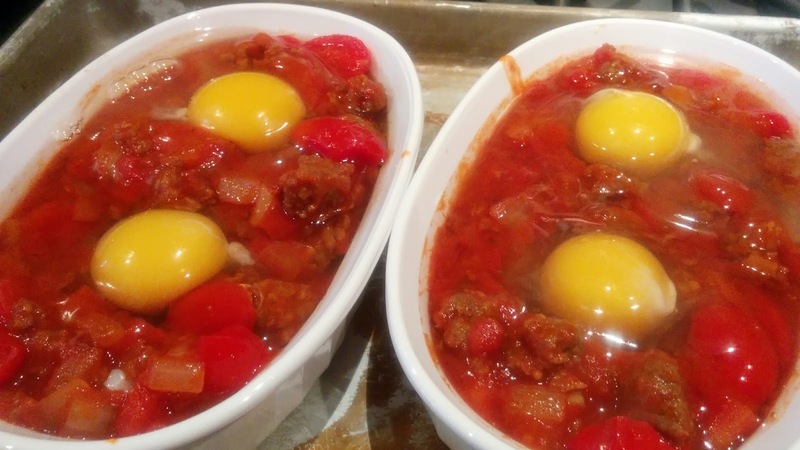 Add sauce to baking dishes, or you could cook this all in your cast iron pan. Make a small "hole" and crack an eggs into each one. Top with cheese and bake for about 12-15 minutes, depending on how you like you eggs cooked. 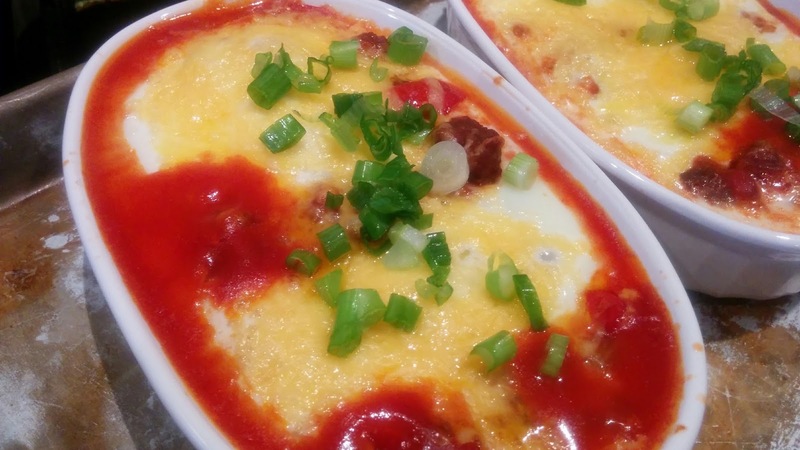 One NOTE, let the baked eggs cool for about 4-5 minutes before serving, and remember the eggs will continue to cook during that time. It's best to take them out when they are a bit undercooked. Serve with toast. Here they are when I took them out of the oven. Sprinkle with green onions before serving. Maybe a little sour cream on the side, if desired.